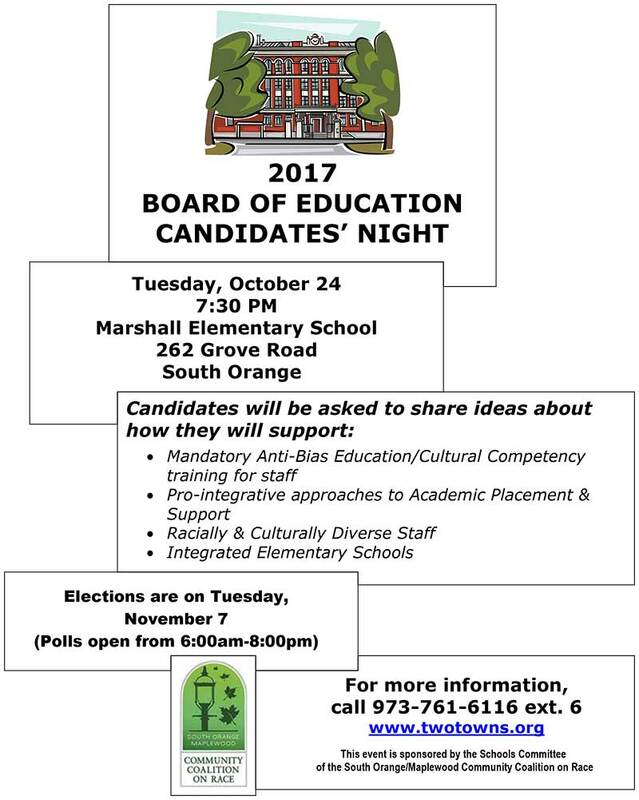 The Schools Committee of the South Orange/Maplewood Community Coalition on Race is hosting its 12th Annual Forum for candidates for the Board of Education on Tuesday, Oct. 24, at 7:30 PM at Marshall Elementary School in South Orange. The committee will present a series of questions to the candidates that challenge them to consider the relationship between Board actions and racial integration and true inclusion in both schools and classrooms. This entry was posted in Events, School District, Seth Boyden News, SOMA. Bookmark the permalink.